The Department of Information Technology and Telecom conducted a “Cyber Incident Simulation” exercise today, November 27, 2018 with support of the International Telecommunication Union (ITU). 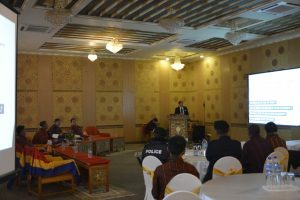 The exercise was designed exclusively for heads of government, policy makers and other high ranking figures to increase awareness on cyber security and preparedness to make critical decisions in response to cyber attacks. 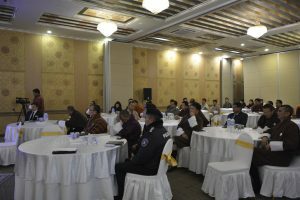 It was attended by honorable cabinet ministers, secretaries, executive government officials, law enforcement representatives and heads of corporations, private sector organisations and other institutions with critical information infrastructure. The program was moderated by Prof. Marco Gercke from Cybercrime Research Institute, who is also a consultant to ITU.